Eipix Entertainment made this day better by releasing a new addition to the Myths of the World series. 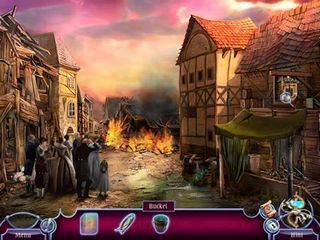 Myths of the World: Born of Clay and Fire Collector's Edition is a great reason to travel to Czech Republic and solve yet another mystery. There is an additional challenge for you in the bonus game, too. Let's go to Europe for quite an adventure! The reason you are in Europe is not fun or vacation though. Your home city of Prague is in danger of being thrown into real havoc. Your father is arrested and you seem to be the last chance for this beautiful city (of course, it is not the touristy nowadays kind of Prague, it is quite a few years back). Trying to figure out the situation you learn that your father had been working in his alchemy lab on a very strange project. He has been trying to create a Clayborne, a mystical monster. But his experiment went very wrong. It is up to you to find out the truth and protect the city and your father from the capital punishment. The graphical persentation of the story is beautiful. They show all these scenes of the old European city like three-story buildings and little fruit and vegitable markets. But there is a lot of darkness in the scenes too because of the story mainly. The sounds and music add a lot to the atmosphere of the story too. Music, concept art, wallpaper are all part of the usual media extras. The gameplay come in four modes: Apprentice, Scholar, Master, and Alchemist (the last one is custom). Hints and skips are adjustable (10-120 and 10-400 seconds accordingly). Since the story is set up in the time of alchemy you are going ot have alchemy-themed collectibles and a power to learn alchemists' secrets. You are challenged with 14 achievements and 15 morphing objects. 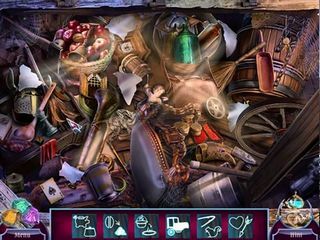 20 puzzles and 18 hidden object scenes are replayable. The HOP scenes can be switched to a different stone game. 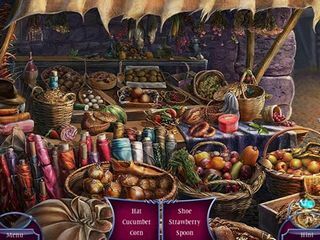 It is a great adventure that really needs all of your hidden object puzzle adventure game skills. This is Myths of the World: Born of Clay and Fire review. Download this game here.